Woah! Now that a good starts.. I’m intrigued. Gettleman, start your engines. Vrrrrrroooom. I knew that the golf industry was a billion dollar industry, but this takes the cake. When Callaway is teaming up with a premier Italian sports car company, one has to wonder what is coming down the road next. You might remember a few years ago when titanium drivers first hit the market? I'm pretty sure Callaway was one of the first ones to use this strong lightweight material to build drivers. Now, 95% of all drivers are made out of titanium. Why titanium? Because it’s as strong as Superman, and as light as his cape. Scientists have been able to mold, cast, acid condition and just about everything else you can think of to make their drivers light and hot. This material has been the best thing to happen to golf since the sandwedge. Before golf, titanium was just another metal that they built fake legs out of. I give you Forged Composite! BBBWHAT? Yes, it is bundles of microscopic carbon fibers held together with raisins… wait, I mean resin. The material is heated until it liquefies, and then Callaway creates the desired shape (with really thick oven mits). It’s very similar to making cupcakes, only these are cutting edge, million dollar, carbon fiber, Lamborghini cupcakes. This Tour model is a 450cc driver head attached using a hosel. The graphics on the crown, while visible (and a bit gaudy) on the standard 460cc head, are not visible on this Tour edition. And with the lighter driver head, Callaway was motivated to mount the 460cc head on a 46" shaft instead of the standard 45-1/2" for even more clubhead speed. If you swing the driver you might get a feel for how fast a racecar goes. 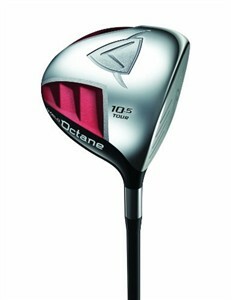 The driver is of course extremely light and cuts through the air with speed. Callaway says the driver is 8 yards longer than its predecessor, the Diablo Edge. My favorite thing about the driver, besides it crazy distance, is the sound at impact. Most carbon fiber clubs are pretty muted, but this has a very pleasing impact sound even when you don't catch it square in the middle of the clubface.